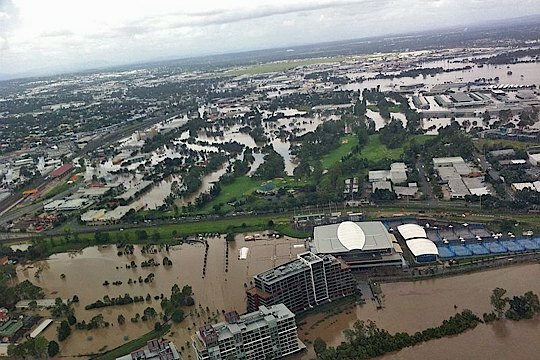 The Queensland floods will cost the golf industry millions of dollars, according to Golf Queensland president Tom Crothers. “The full brunt of the floods won’t be clear until the waters recede but early indications show damage to club houses, machinery and courses is far beyond anything experienced before,” said Crothers. “We are yet to determine the full extent of damage but Golf Queensland is prepared to assist where possible in rebuilding and ensuring clubs get back up and running. Crothers said family wellbeing is an immediate priority but as the worst of the floods pass, the importance of providing people with a much needed avenue for releasing their stress by getting golf up and running was critical. “Sport and Recreation has released a disaster recovery program providing clubs with financial assistance to recover from damage caused by flooding in Queensland in December 2010 and January 2011,” he said. “We will work closely with Sport and Recreation in ensuring funding gets to those clubs in need and encourage clubs to document all flood damage by taking photographs. Clubs and districts are also encouraged to update Golf Queensland with their flood damage by emailing Claire Power, Communications and Marketing Manager at claire@golfqueensland.org.au.